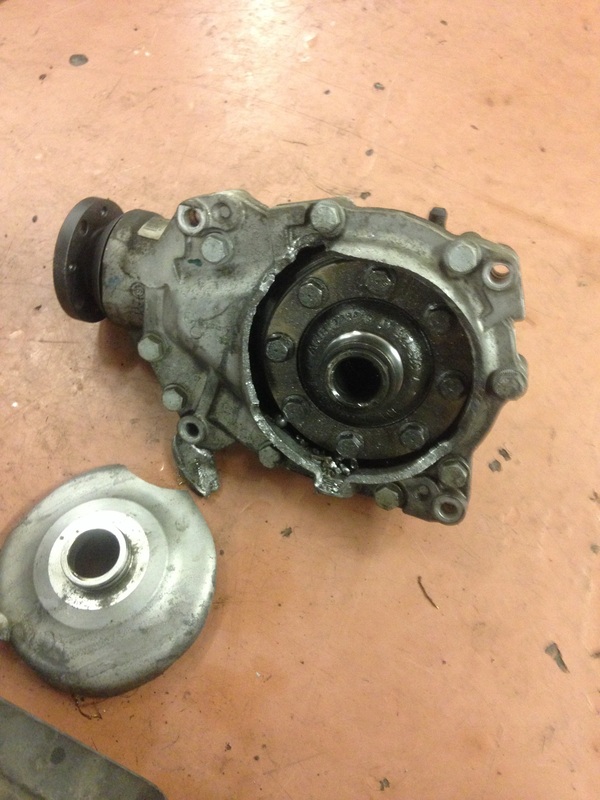 So look at this piece of art,,,,this is from a 2011 328xi E90,,,,,this is the front transfer case,,,,the front driveshaft wasn’t damaged,,,,and both front axle shafts were ok,,,,customer said the car made a lot of noise and just stopped moving,,,,the car had to be towed in,,,,,,I wonder why the whole side of the transfer case came apart,,,,this part was bolted up against the oil pan,,,,there was no damage to the oil pan,,,,,we don’t know what happened,,,,we can just only guess what happened to this front transfer case ,,,,,it probably had a oil leak for a long time,,,,,,and it finally had no more fluid and ran dry. 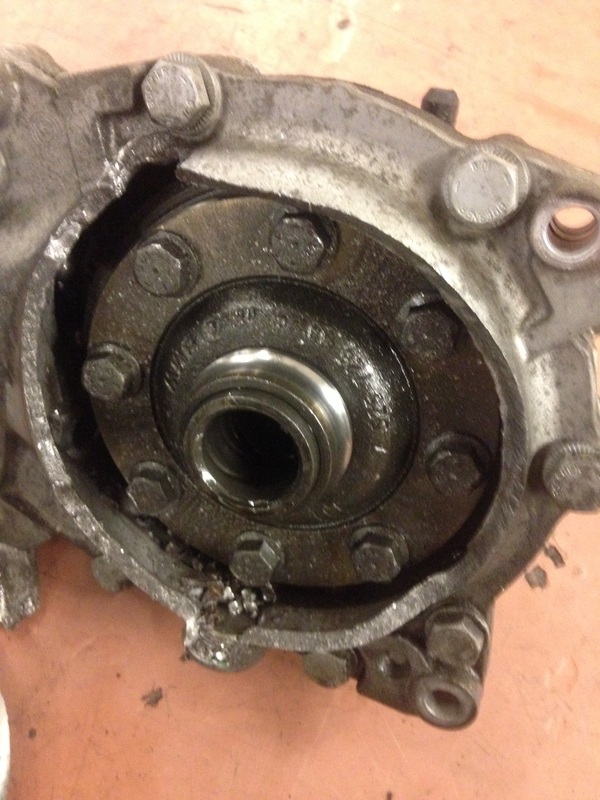 This entry was posted in Uncategorized and tagged 328xi, Front transfer case. Bookmark the permalink.